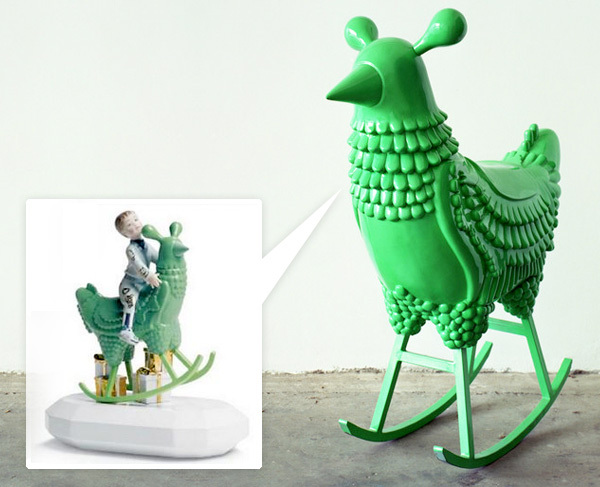 I think i am obsessed with a large green glossy lacquered rocking chicken. Is that weird? 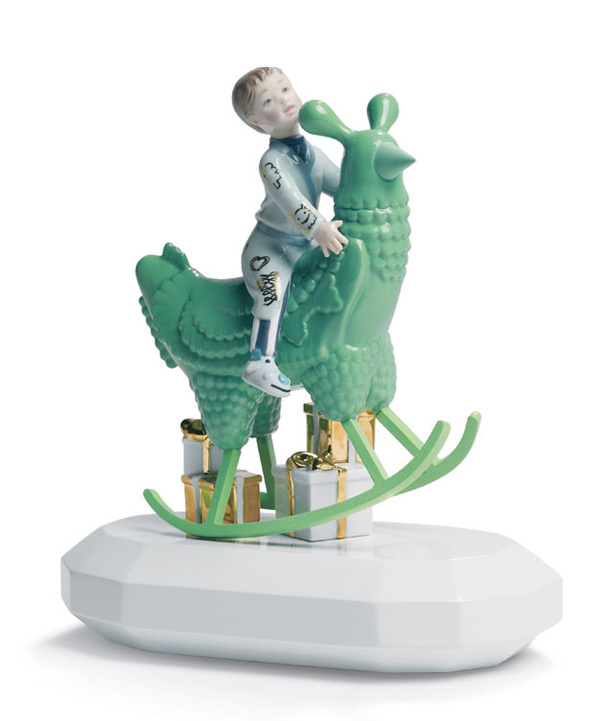 Is it weirder that tonight i am obsessed with it because of Jamie Hayon’s Lladro Fantasy Collection where he playfully mixes his designer goodness and attention to detail with the classic porcelain collectibles… But back to the chicken. It’s giant. It’s green. It’s glossy. And i bet when you rock on it your mind fills with ideas and you get taken on a dreamy world of inspiration… or maybe thats the sleeping pill kicking in and i’m starting to fade and dream up ideas (how is it 3:30am?)? 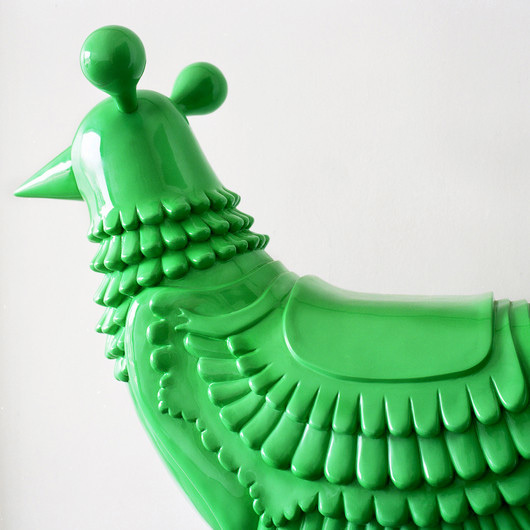 Regardless, between all the giveaways, thought you’d have fun taking a peek at the sketches and more images of the great green rocking chicken on the next page… see more at Jamie’s site too! I love creativity, but when it takes a direct and brazen stance against the environment and practicality I must take a stand. This amount of plastic could’ve gone to much better uses, and the pointed beak eliminates all value as a toy. Its totally not for a child, look at that beak. While it is very cool, it seems quit scary. 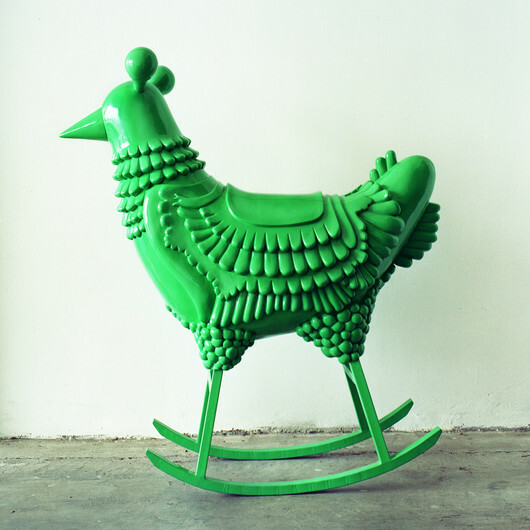 Its much more of an art object then anything, almost Jeff Koonish. It’s definitely unique…but if it’s meant for children, I don’t know if the pointed beak is wise - it seems like the beak is right at eye level for a child, and kids trip a lot. OMG THIS IS THE TOY OF MY CHILDHOOD I NEVER KNEW I NEEDED!!! 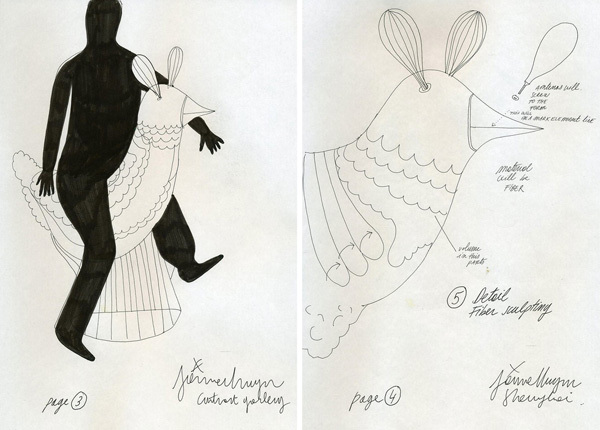 ANOTHER SCORE FOR MY BOYFRIEND JAIME HAYON! !